There are many ways we interact with AI in the realm of beauty. Most will be subliminal. When we watch a beauty tutorial on YouTube, a learning system gathers information and cross-references it with metadata, attempting to figure out which contour clip we’ll want to view next. When we shop for cosmetics, our cookies follow, working out what to market to us. Beauty brands are angling themselves towards machine learning when it comes to selling us personalised products, too; AI bots scour data from thousands of product descriptors, ingredient labels and online reviews to tailor our choices in skincare or haircare – sometimes with added medical value, if we have, say, acne. When it comes to AI in beauty, most of its applications are driven by a rapidly expanding and increasingly saturated global beauty industry (valued at over $400 billion in 2017), the key question being how intelligent computers can encourage consumers to fill their online baskets. But two design studios – Selam X in Berlin and ART404 in New York – have teamed up to initiate a different application of AI in the realm of beauty. Comprised of computer scientists, art directors, coders and designers, the group are a global constellation of engineers and creatives who have created Beauty_GAN, a type of artificial intelligence algorithm that uses machine learning to produce imagery. In this case, beauty imagery, and specifically, the images of Kylie Jenner’s face in this publication. popular and relevant beauty looks they could find, imagery as diverse and colourful as possible, with specs like ‘full face in shot’. They then sorted the imagery into categories and fed it into what is called a discriminator network, where the algorithm begins to learn stereotypical things about the images. It learns to distinguish an eye with make-up from an eye without make-up, or a smiling face versus a frowning face, for example. Eventually, the computer gets so good at distinguishing between categories that it is able to assign categories itself, to differentiate between a beauty selfie or, say, a picture of a dog. But ‘GAN’ – generative adversarial network – systems are made up of two parts. Alongside the discriminator network, there is a generator network, which creates images. It is taught to spit out imagery. This imagery is fed into the discriminator network, which decides if the image is or isn’t a beauty image. This feedback is calculated by the generator and it produces more and more images until, after millions of tries, it manages to produce an image that fools the discriminator into thinking it’s an authentic beauty image, like those from the original data input. 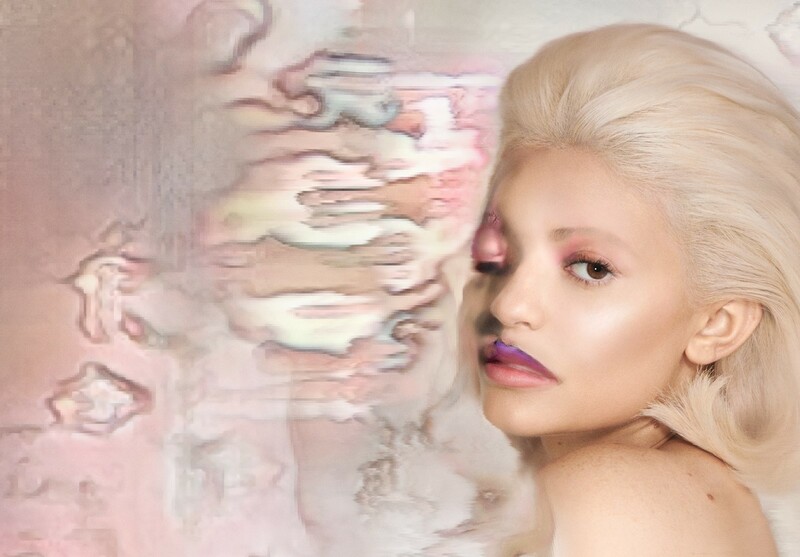 The computer is now able to create beauty looks without the help of a human. Beauty_GAN is not the only technology of its kind. Its creative director Sebastian Zimmerhackl sites German artist Mario Klingemann as an influence. Klingemann calls his work “neurography”, whereby he trains a machine to create images without a camera; his system can produce thousands of images a day. In the world of fashion, artist Robbie Barrat created an AI that ingested all of Balenciaga’s previous collections via their campaigns, lookbooks and catwalk imagery – his AI randomly generates hypothetical (but pretty plausible) Balenciaga designs. For the images in this issue, we asked Daniel Sannwald to photograph Kylie Jenner in almost no make-up, like a blank canvas. We then painted her face with the images created by Beauty_GAN. In other words, she is wearing AI generated make-up. To choose Kylie, of all subjects, is not without irony or importance. The young beauty mogul has an Instagram account with 124 million followers (and counting), once tried to trademark her own first name and has grown her brand Kylie Cosmetics into an estimated $800 million company in just a couple of years. She is the person the whole world holds up as the poster girl of beauty, the face that we try to replicate. Kylie gets lip fillers? We get lip fillers. 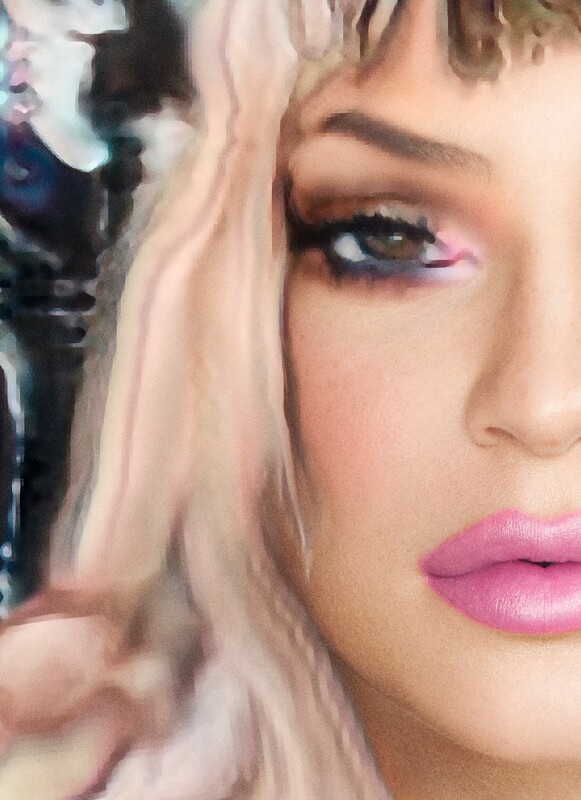 Kylie contours? We contour. Kylie endorses a product? We buy it. 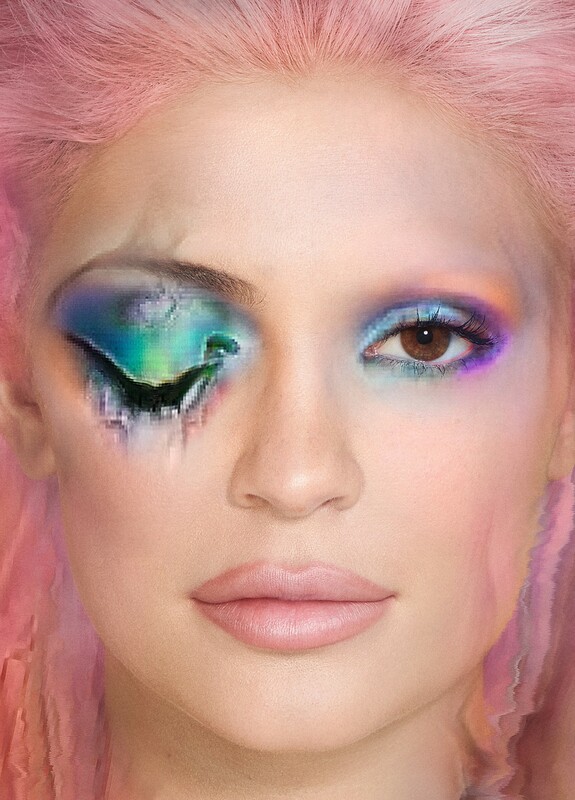 There is even an Instagram app that allows us to apply Kylie’s face, mask-like, onto our own. She is the face that spawned a thousand selfies. 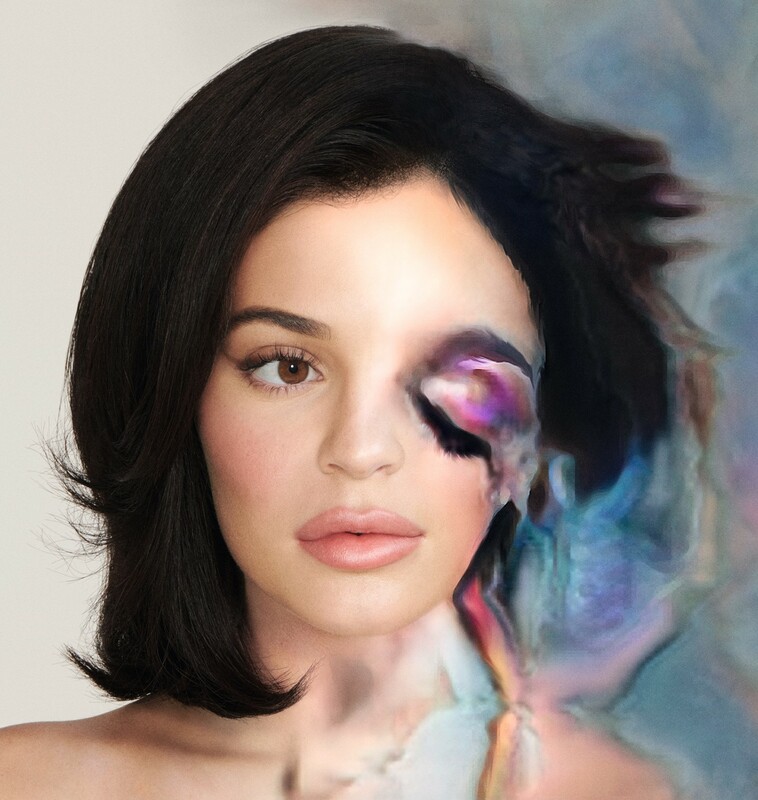 One could argue that, of all the beauty imagery we see on Instagram today, Kylie Jenner’s face, her aesthetic, holds the most influence. Every time someone copies her contour or lip liner there’s a further proliferation that happens. She influences what we think of as beautiful, what exists on Instagram. 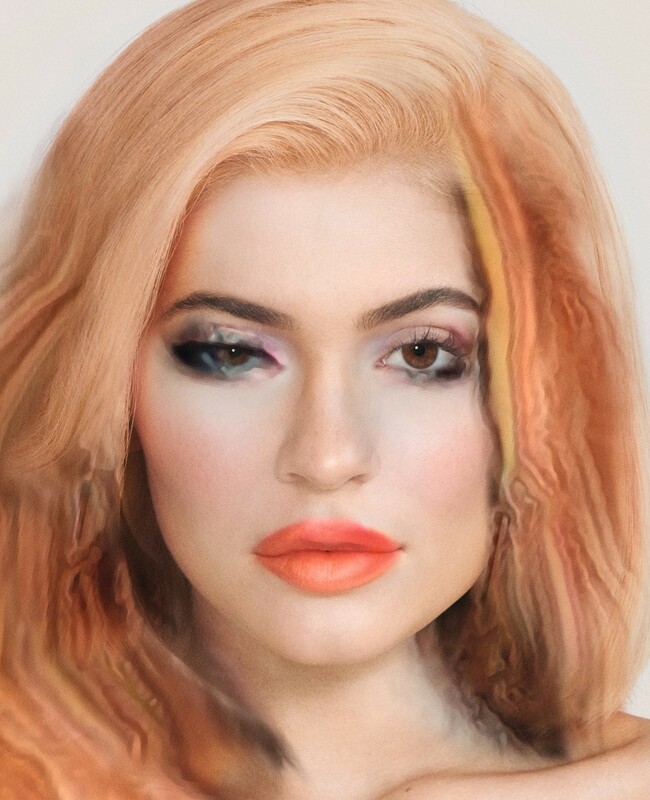 The Beauty_GAN project sees this inputted into a machine, and then lets the machine take over; the machine creates what it thinks is beauty imagery, and then paints it back onto Kylie’s face. And so, the feedback loop closes.